A pup had a ruff day but luckily Hanford police and Fire were there to give him a helping paw. 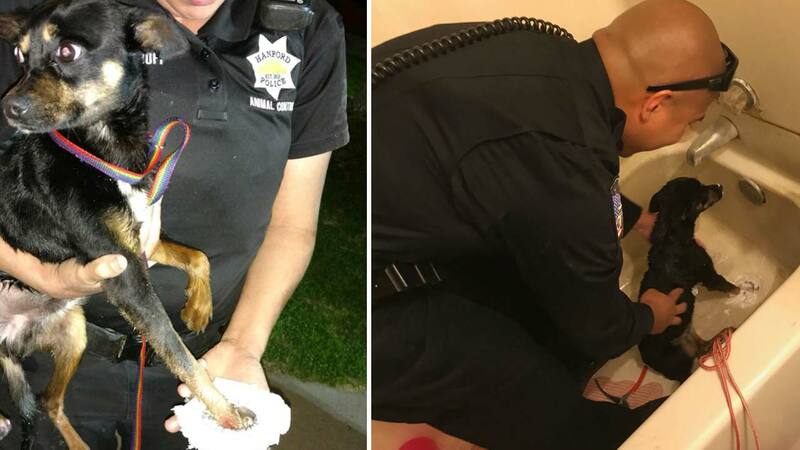 HANFORD, Calif. (KFSN) -- A pup had a ruff day but luckily Hanford police and Fire were there to give him a helping paw. Authorities said they received a call from a home in Hanford after their puppy got caught in the drain of their tub. Emergency equipment was used to free the stuck pup. In the end, Hanford fire and Police were able to free the dog and he was left with only a sore paw.